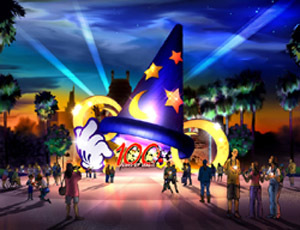 Beginning October 1st, 2001, Walt Disney World will come alive with color, sound, music and festivities in celebration of Walt Disney's 100th birthday. The celebration pays tribute to the amazing contributions Walt Disney made to the world of entertainment and Pop Culture. Each of the four parks will be brimming with new attractions, parades, retrospectives of Walt's life and more to make this celebration a once in a lifetime opportunity to share in the Disney legacy. Walt Disney loved parades. 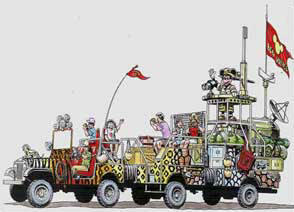 As a child in Kansas City, he would follow a parade route from beginning to end. When Disneyland opened, he translated his love of parades into the daily tradition at all Disney parks that we know and love. 100 Years of Magic brings Walt's love of parades alive for a whole new generation of children of all ages. Calling to mind one of Disney's most popular collectibles, the Magic Kingdom's "Share a Dream Come True" will fill the park with life-sized snow globes, featuring everyone's favorite characters. Just like Walt himself, this parade looks at the world from a child's point of view. New characters called "Dream Spinners" put a new "spin" on the Epcot favorite "Tapestry of Nations." Changing its focus to the celebration of dreams and innovation, the newly titled "Tapestry of Dreams" will add a whole new splash of color and excitement to Epcot. A daily showcase of your favorite Disney stars in outrageously custom styled cars is the highlight of the celebration at Disney Studios. Even the villains are getting in the act. The entrance to the Great Movie Ride has been transformed by the addition of an amazing Mickey Sorcerer hat. 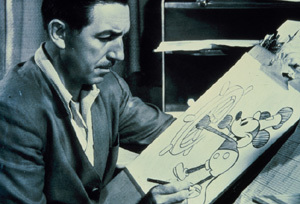 Also check out the interactive exhibit "Walt Disney: One Man's Life." For the first time ever, Disney's Animal Kingdom will feature an afternoon parade. "Mickey's Jammin Jungle" features fanciful characters that only Disney Imagineers could dream up. Don't worry, you're favorite Disney characters will come along for the ride as well. Don't forget to check the shops for brand new, exclusive merchandise! In addition to the traditional snow globes, watches, t-shirts, sweatshirts and pins, Disney is introducing the cutting edge "Disney's Magical Moments" pin which brings a whole new level of interactivity to all four parks.